Who will win the Best Costume Oscar? 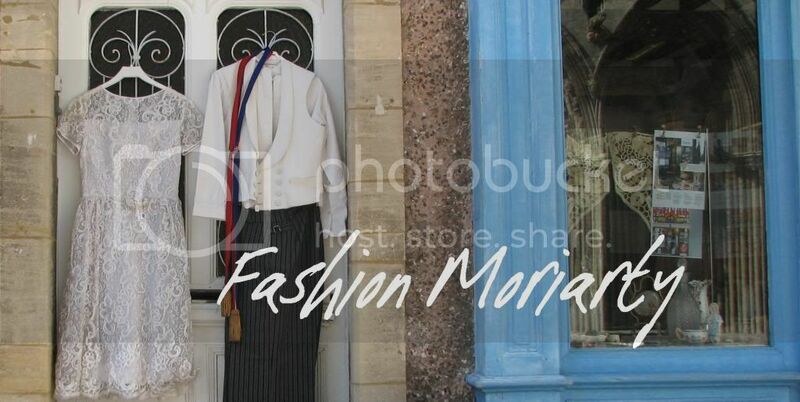 Hello, Fashion Moriarty readers! It really has been a long time. Probably my biggest gap in blogging ever. I really am sorry about that. Hopefully I'll be getting my act together soon and there will be more posts on the way imminently. For now I will just field the excuse that I'm now editor of The Oxford Student, which takes up a lot of time, and any time I write something, it's for that. However, I'm sure you don't care about that. Let's get down to business. And when I say business, I mean the wonderful collision of the fashion and the film businesses. Each year I do a post about the nominations for Best Costume awards either at the BAFTAs or the Academy Awards, and go through what I like about each designer. 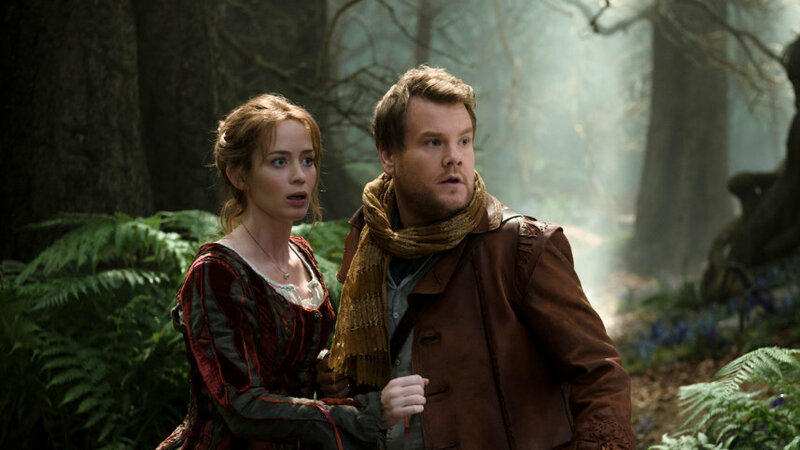 With the Oscars next week, this year looks set to be an interesting one, with everything from period dramas to fantasy adventures to retro mysteries in the running. Let's take a look at the costumes which have been this year's most admired. 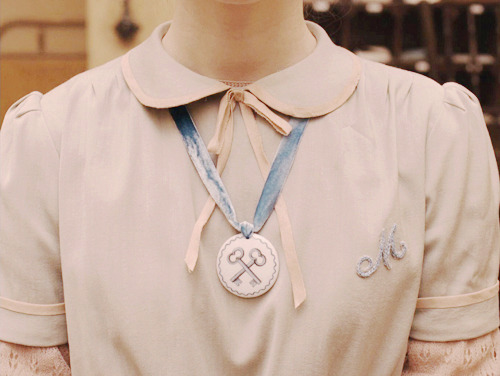 Every aspect of a Wes Anderson movie should be aesthetically sublime. 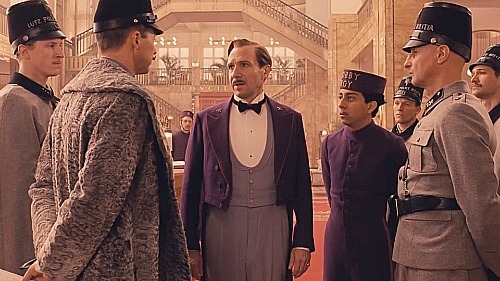 The Grand Budapest Hotel blew me away with its cinematography, its locations, and, most importantly, its costumes. Now it goes without saying that the designs will be good, because Milena Canonero is an absolute legend. She did Chariots of Fire, A Clockwork Orange, and Marie Antoinette. She's won three Academy Awards. She's worked with Wes Anderson before. And now she's provided the perfect apparel for this masterpiece. The glory of Old Europe provides the keynote here. From the uniforms of the soldiers to Adrien Brody's almost vampiric all-black ensemble, she has really outdone herself. Most importantly, she brings the hotel itself alive with the bright purple uniforms. I also love Agatha's simple pastel outfits, which layer different items - a thoughtful touch, considering the practical implications of living in the mountains. It's already won the BAFTA, and to be honest this would be my personal choice for the Oscar as well. But there is certainly some stiff competition, which we will have a look at now. I have to admit, I don't really know why this is nominated. Admittedly, the best costume award should not always necessarily go to the most exciting costumes. There is a lot of work which goes into sourcing clothing which is accurate for the period, and which truly reflects the character wearing it. A big strength of the costumes in this movie is that they evoke the period (1970, so the fashion is mainly hangovers from the 60s), but without giving into the temptation of using the most extreme fashions from the time. This I felt was the kind of thing American Hustle was guilty of, whereas here we see some of the most iconic fashions (shift dresses, beehive hair) without the sense that we're being told "hey it's 1970, remember that!" Mark Bridges is a man of the moment. He won both the Oscar and the BAFTA for The Artist, and has credits such as Silver Linings Playbook and the upcoming Fifty Shades of Grey to his name. I can't help but feel that this film isn't a particularly notable output from him, and he's simply been included because he's a current favourite. Colleen Atwood is a dream. I remember being enchanted by her work on Snow White and the Huntsman, a film which was probably good training for this musical fantasy. She's won three Academy Awards already, and has had an extremely impressive career. Her work with Tim Burton is particularly notable here, as the dark surreality of films like Edward Scissorhands and Alice in Wonderland is similar to the gloomy forest setting of Into the Woods. There's a classic fairytale element to these costumes, which allow for a range of different influences. The great thing about a story like this is that you can make it look historical without worrying about accuracy to the period. Hence there seems to be a little bit of an Elizabethan echo in Meryl Streep's and Emily Blunt's wardrobes. Anna Kendrick's working costume on the other hand has more of a Restoration feel, while her wedding dress is reminiscent of pre-revolutionary France. Another fairytale film, this one faces us with the obvious problem that it is based on an earlier animated movie. How does a designer tackle that? They need to make the characters recognisable, but to make complete copies of the cartoon clothes would make it look like they had just been to the Disney store instead of hiring a designer. I think Anna B. Sheppard has done well in this respect. Aurora's gowns are a little more Medieval in their look, while Maleficent's imposing ensemble translates perfectly from the animated version. Enough has been changed to make it different (note the fur trim), but the shape and colours are obviously recognisable. While Sheppard is the only one on this list to have not yet won an Academy Award, she is certainly not a newcomer to the scene. With films like Schindler's List and The Pianist under her belt, she has been working on Oscar-winning films for years, and has been nominated for three herself. Perhaps this will be her year, though I think she may be disadvantaged by the fact that when one thinks of the film, only one or two characters come to mind, so all the focus will be on a small range of costumes. Jacqueline Durran is one of my absolute favourite costume designers, and long-time readers of my blog will remember how much I loved her work on Anna Karenina, for which she won the Oscar in 2013. She has worked with several British directors, such as Joe Wright, Thomas Alfredson, and in this film Mike Leigh. It therefore probably does not bode well for the Oscars that she didn't take home the BAFTA, being a darling of the British film industry. But let's take a look at the costumes anyway. I love this period of the Victorian era for men's clothing, when top hats are at their tallest and canes are a standard accessory. Of course, all that dark material could end up looking a bit drab and dull, but this is easily avoided when you have the eye for detail which Durran has. The men may appear to all be wearing the same outfit, but when you inspect the colours of their waistcoats, the sizes of their lapels, and what other additions they may have such as gloves or pocket-watches, you see that each expresses a little something about the character. For Anna Karenina, Durran had the buttons on Vronsky's coat individually cast, as it was too difficult to find originals, which shows you she takes over the little things.